If you enjoy Golf, the Social Club has a great deal to satisfy your golfing needs. Social Club members receive $60 off PGN membership which is only $199 (normally $259)! 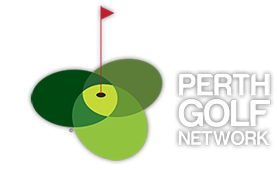 The Perth Golf Network gives you a way to meet golfers, attend competitions and receive discounts on green fees. If you're not a member you'll also receive a joining pack worth $250 (see pic below). Keen to get out for a hit with other Social Club members and Hospital Staff? Sign up for our mailing list and we'll invite you to rounds that we organise, as well as Golf days and Perth Golf Network Comps. We can pair you up for Ambrose competitions in our Social Club Teams. Are you a PGN Member?